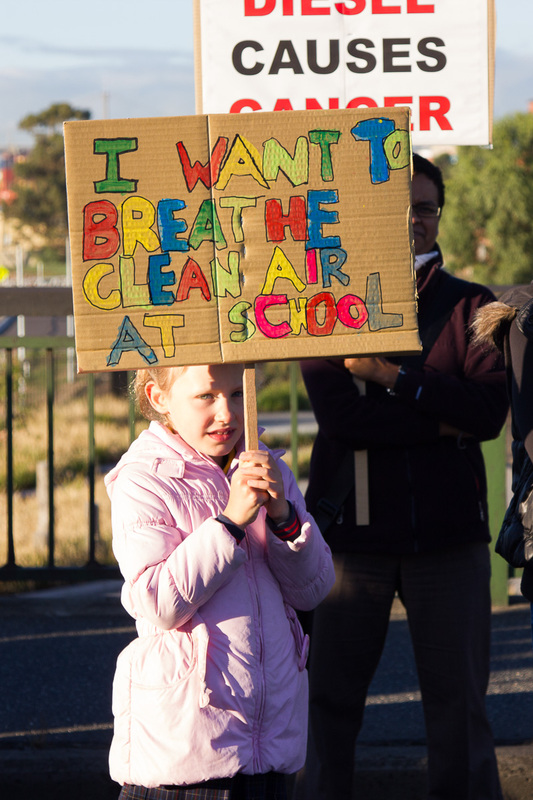 The City of Maribyrnong experiences one of Melbourne’s worst examples of environmental injustice. 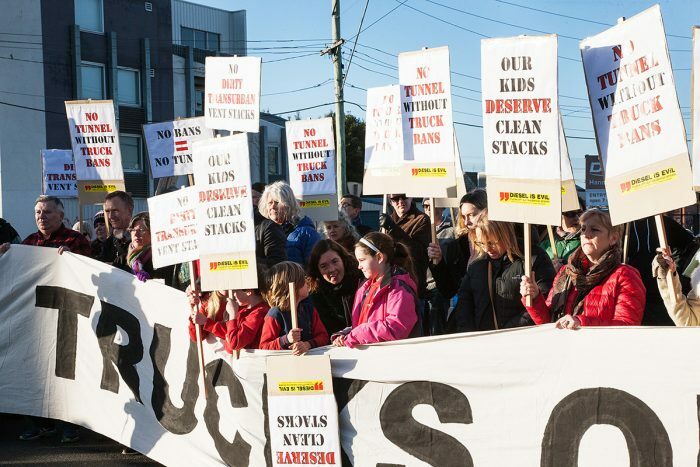 Each day almost 22,000 trucks from the Port of Melbourne rumble past our homes, schools, parks and child care centres, just metres from our children. 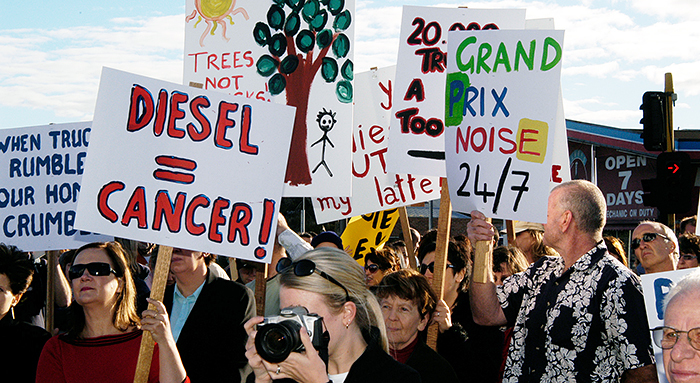 For over twenty years our community has been screaming out for a solution to this health and pollution crisis. 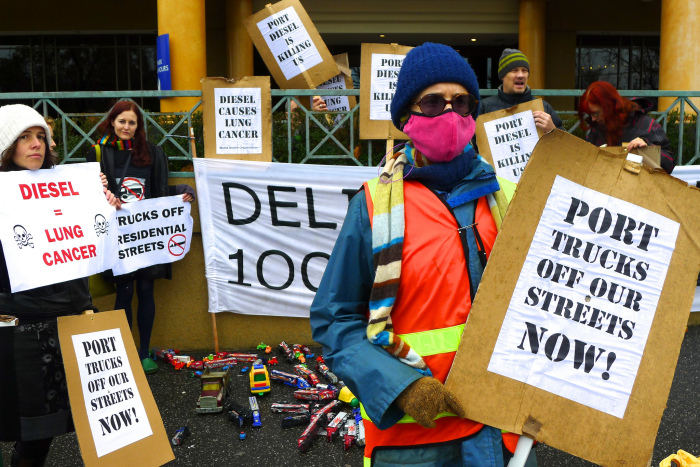 In that time, most of Melbourne has turned a blind eye while Governments have promised plan after plan that have then gone nowhere – the Truck Action Plan, West Link, East West Link, The Victorian Transport Plan and the West Gate Distributor. The current plan on the table is the West Gate Tunnel Project, expected to take 9000 trucks a day off our streets. 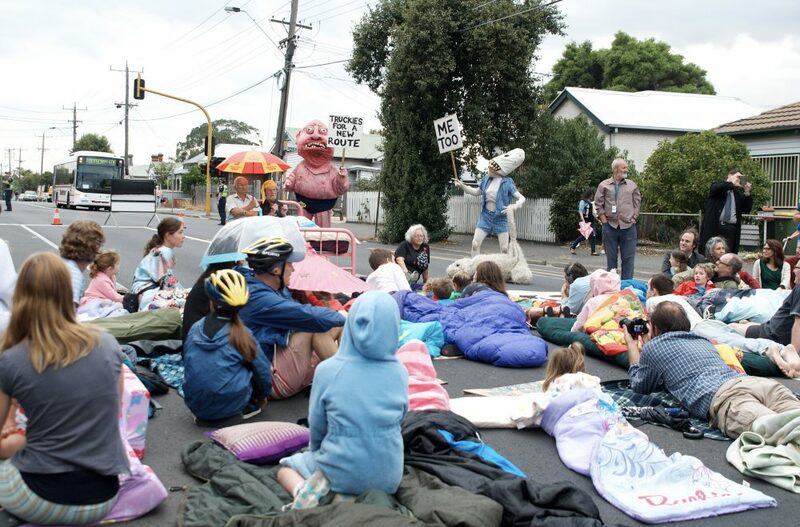 The Victorian Greens have been long time allies, standing with MTAG at protests and community meetings, supporting our calls for truck bans, freight on rail and a truck bypass. 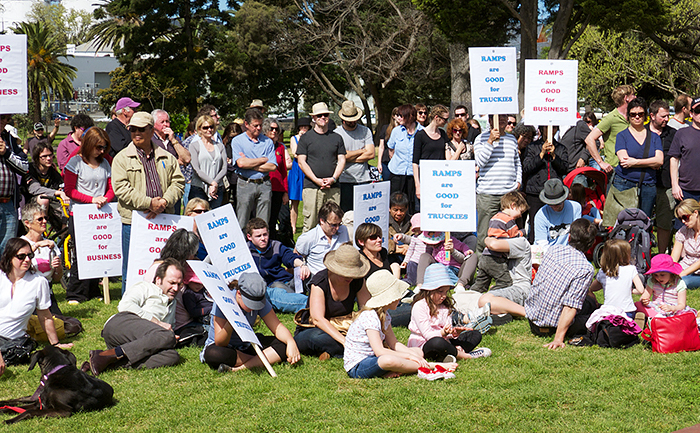 However, MTAG is bitterly disappointed at their decision to join with the Coalition to block parliamentary planning approvals for the West Gate Tunnel Project. Will this stop the project? Highly unlikely. Transurban has a contract with the government to build and operate the road, and construction has started. Even The Greens say that disallowing the planning approval will not stop the works. Planning experts have suggested that it risks peeling away a layer of scrutiny over the new toll road. Unfortunately this is just another chapter in the bizarre and unhelpful politicization of the infrastructure needed to take trucks off residential streets in Melbourne’s inner west. We were never naïve enough to think that The Greens would support a major new freeway for Melbourne. 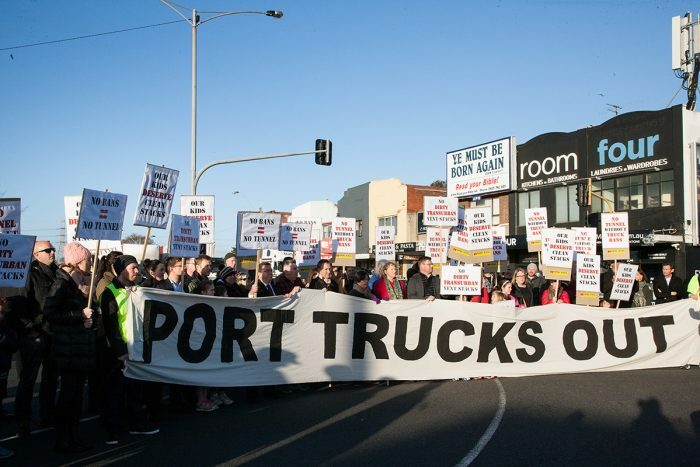 However they did support previous government plans for a truck bypass with on/off ramps that would create a more direct route for trucks to the Port of Melbourne from the West Gate Freeway. We always presumed The Greens would support us in our calls for the best possible outcomes from the West Gate Tunnel Project to protect residents. The project needs improved pollution mitigation such as filtration in its ventilation stacks. 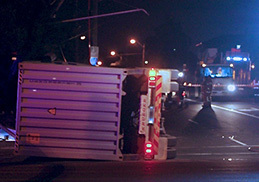 It also needs increased truck bans to protect residents on Millers Road in Brooklyn and Williamstown Road in Yarraville. These are things for which we continue to lobby. Has the ALP delivered on their promises to us in the past? No. 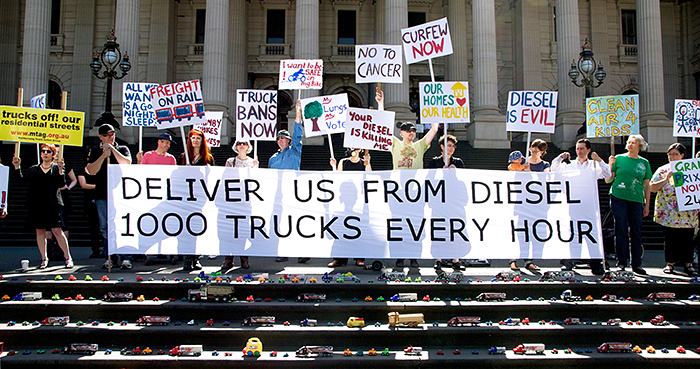 That’s why we have called for the promised truck bans on residential streets to be enshrined in legislation to make them more difficult for this or another Government to remove in the future. But with the Government saying that there are no legitimate grounds to revoke the planning scheme amendment, we are concerned that this move by The Greens will see the project go ahead without the planning approvals and requirements of the Environmental Effects Statement which would have delivered at least some of the protections that the community needs. This will lead to even worse impacts for the long-suffering residents in the inner west. What we experience here is environmental injustice, one of the worst and longest running examples in Melbourne, the world’s so called most liveable city. Is there anywhere else where it would be considered acceptable to have trucks in their tens of thousands on residential streets just metres from homes, parks, and children in school playgrounds? Every day and every night trucks spew out dangerous levels of diesel exhaust and produce noise levels deemed dangerous to human health. The health impacts in the community are evident with huge spikes in respiratory illness in children and lung cancer in non-smoking adults. In any other area this would be called a medical emergency. But here in Melbourne’s long-suffering west it’s business as usual, with most of Melbourne wanting the existing status quo to continue for ever, allowing our streets to be freight sewers for the benefit of all Melbournians. 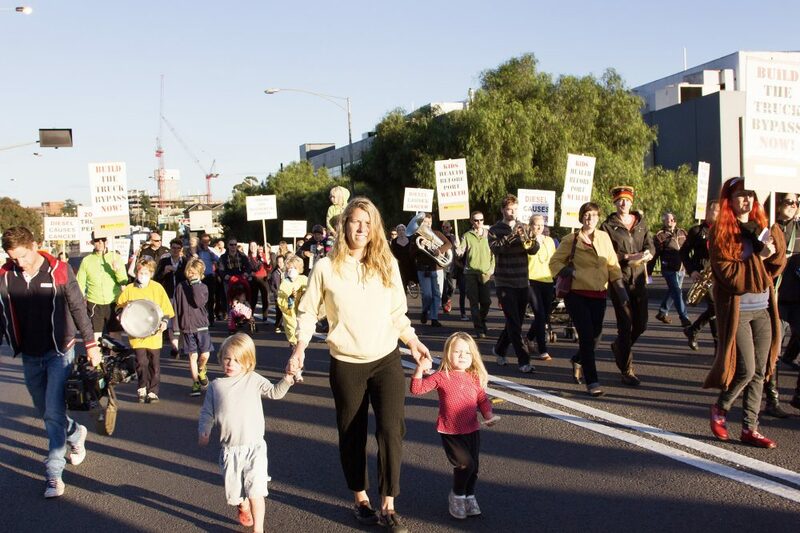 As much as we understand the Greens opposition to a major tollroad – let’s face it, we didn’t ask for it either – we do not understand The Greens’ silence when it comes to calling for a real-world solution for us. 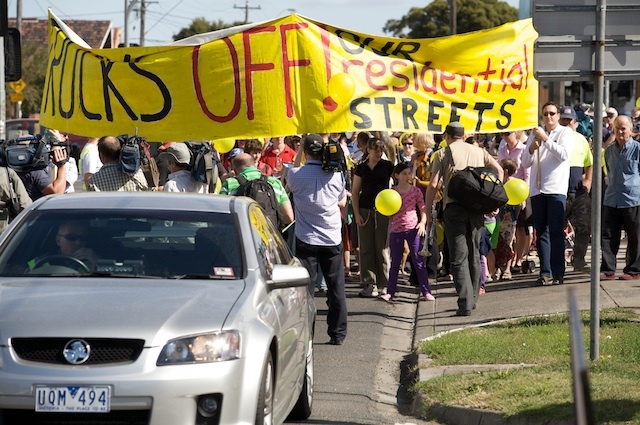 And let’s be honest, the Coalition has never offered us a viable solution, unless you include ex-Premier Napthine’s promise that the East West Link would be, “the best thing ever for the inner west.” That The Greens are now joining with the Liberals to block this real chance of getting trucks off our streets leaves us feeling completely abandoned. Options like freight on rail are important, but there is no other major container port in a developed country without direct freeway access to their port. 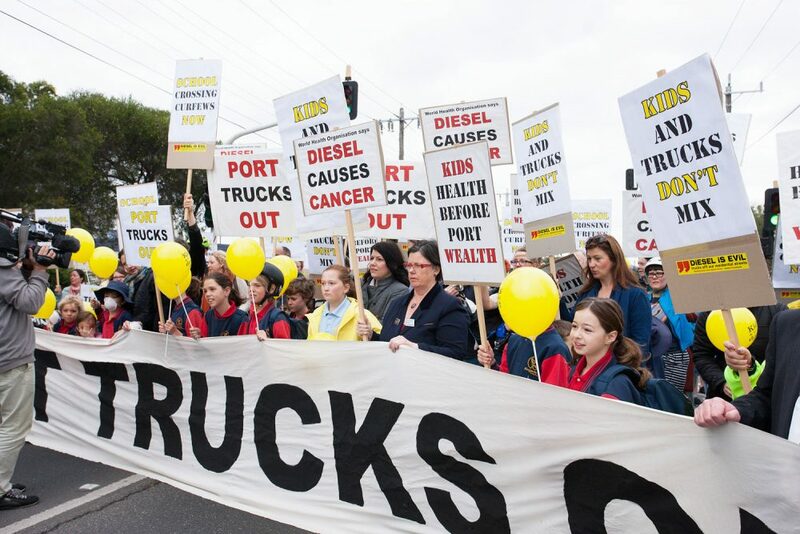 Truck drivers servicing the Port of Melbourne need a direct freeway connection, and City of Maribyrnong residents desperately need one for the sake of our children’s health. MTAG are under no illusions that a road project alone is the answer to our problem. As well as a direct freeway link and freight on rail, we urgently need cleaner fuels, cleaner trucks, decent land use planning and and a port committed to real environmental initiatives. The West Gate Tunnel Project is by no means a perfect solution, but if it is going to get built, it needs proper planning approvals and the protections that they bring. 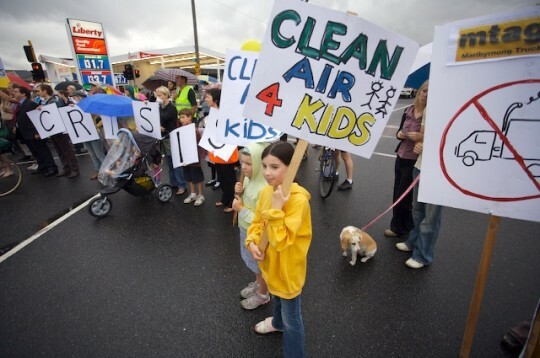 Without this we have no safeguards at all, and a potential change of State Government will see our kids breathing in diesel exhaust for years and years to come. Give us environmental justice now.